?Alexie’s prose startles and dazzles with unexpected, impossible-to-anticipate moves. These are cultural love stories, and we laugh on every page with a fist tight around our hearts.”?The Boston Globe?Poetic and unremittingly honest . . . The Lone Ranger and Tonto Fistfight in Heaven is for the American Indian what Richard Wright’s Native Son was for the black American in 1940.”?Chicago TribuneSherman Alexie’s celebrated first collection, The Lone Ranger and Tonto Fistfight in Heaven, established its author as one of America’s most important and provocative voices. The basis for the award-winning movie Smoke Signals, it remains one of his best loved and widely praised books twenty years after its initial publication.Vividly weaving memory, fantasy, and stark reality to paint a portrait of life in and around the Spokane Indian reservation, this book introduces some of Alexie’s most beloved characters, including Thomas Builds-the-Fire, the storyteller who no one seems to listen to, and his compatriot, Victor, the sports hero who turned into a recovering alcoholic. Now with an updated introduction from Alexie, these twenty-four tales are narrated by characters raised on humiliation and government-issue cheese, and yet they are filled with passion and affection, myth and charm. Against a backdrop of addiction, car accidents, laughter, and basketball, Alexie depicts the distances between men and women, Indians and whites, reservation Indians and urban Indians, and, most poetically, modern Indians and the traditions of the past. 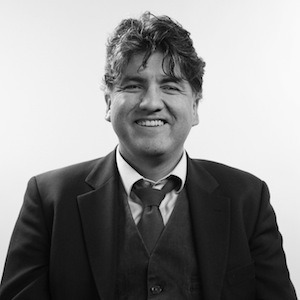 Sherman Alexie is the author of, most recently, Blasphemy, stories, from Grove Press, and Face, poetry, from Hanging Loose Press. He is the winner of the 2010 PEN/Faulkner Award, the 2007 National Book Award for Young People's Literature, the 2001 PEN/Malamud Award for Excellence in the Short Story, and a Special Citation for the 1994 PEN/Hemingway Award for Best First Fiction. Smoke Signals, the film he wrote and coproduced, won both the Audience Award and the Filmmakers Trophy at the 1998 Sundance Film Festival. Alexie lives with his family in Seattle.